PLS-5013 – Nesaru reaches new heights! Project Artemis – An overview. 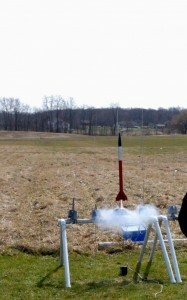 The Artemis 1B launch vehicle successfully completed four flight tests today, all of which were under “medium power”. The first two flights were propelled by D-12 3 motors, and reached a height of about 800 feet. It was determined that the delay charge before parachute ejection was too short, and a D-12 5 motor was used for the last two flights – both of which were “picture perfect”. 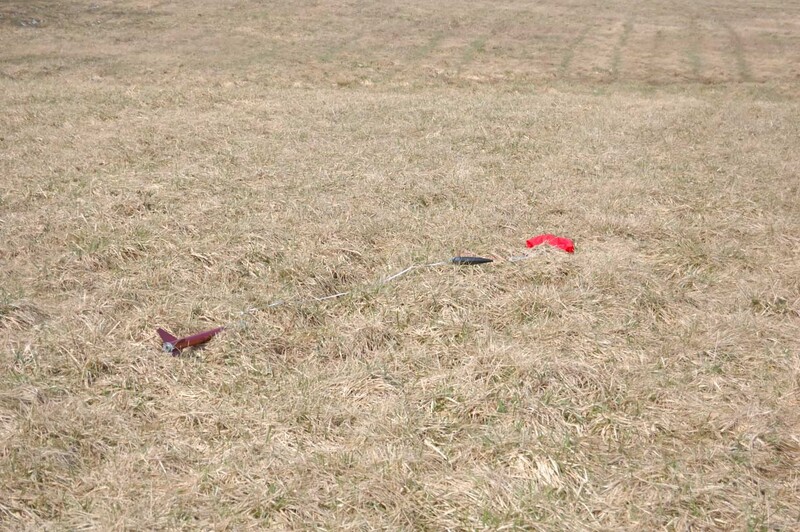 The Artemis vehicle flew “textbook perfect”. The recovery phase was equally impressive. The rocket was perfectly balanced under the parachute phase of the flight, which made for an exceptionally smooth landing. Artemis completes its second flight! XR6 (Perseus V) high power booster.